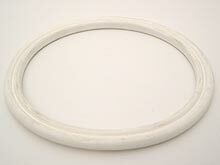 6540-524, Double O-Ring for Various Intelli-Jets and Whirlpool Jets, 3.97 I.D. Intelli-jet wall fitting O-Ring. Used on various Sundance® Spas Jets also. *We ship select Sundance® Spas parts with FREE GROUND SHIPPING with a $4.95 handling fee on all orders. (Contiguous U.S. only). Click here for more Sundace Jets!